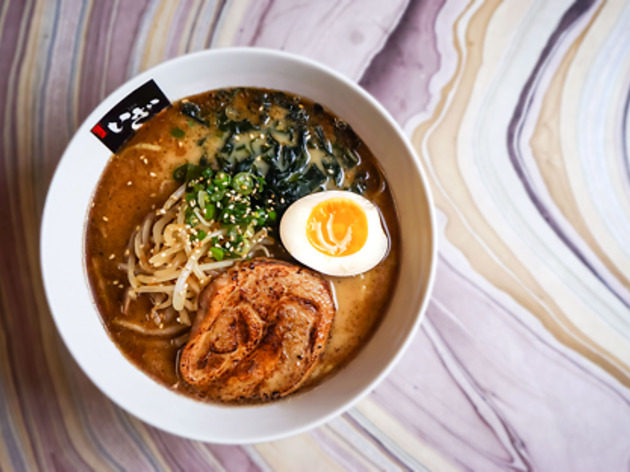 Iza is an expert at tsukemen, a dipping ramen where springy noodles and juicy barbecued pork are dipped into a thicker, mouth-watering broth. 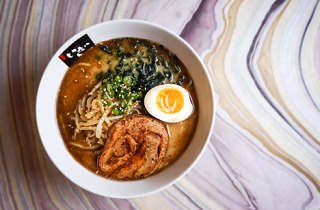 Crowds line up for the silky triple-stock broth, with slow-cooked barbecue pork belly, generous noodles, a soy-marinated soft egg and seasonal vegetables or try the Tsukemen. Also on the menu: cold and vegan ramen options, rice bowls (try the tori chili rice), takoyaki (fried octopus balls) and tuna poké salad.